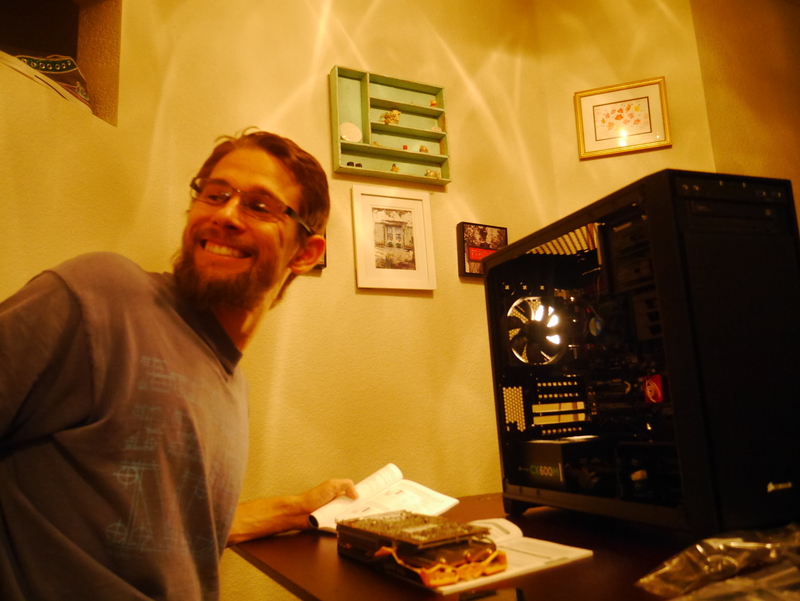 A while back, Gene decided he needed a new computer (and he desperately did), so he researched options and decided to build his own. Yesterday we finally got all of the parts and so we built it! It took us about two hours because we were extra careful and read and reread instructions. Gene has had issues in the past with building computers (aka they’ve never really worked out) so I took over the majority of it, just in case. 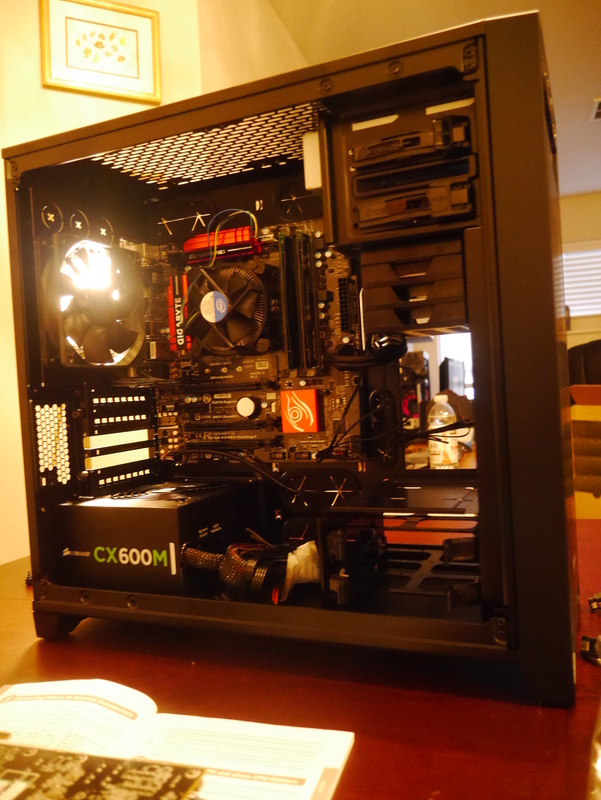 He finished up in the end with the graphics card and attaching all the power cables. Look at that beast, isn’t is beautiful?! 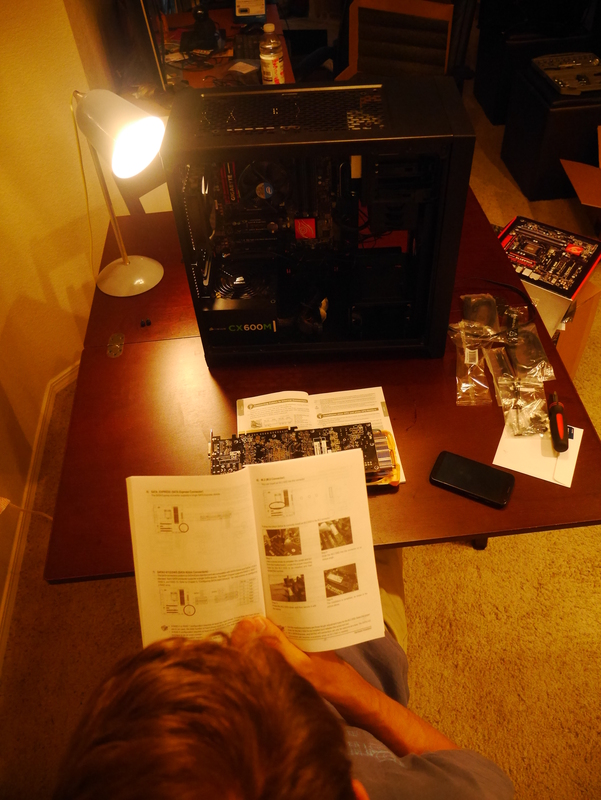 I’m so thrilled, I’m hoping this computer will last him years. He still needs to test out some items, like playing games and hosting servers, but my guess is that all is right. I told Gene to smile. He was touching the light switch to make sure there was no electricity in his hands. Gene reading instructions to make sure we were doing everything right. Right … and I just learned how to do Pinterest. You guys amaze me. So smart and capable! Congrats!